As you may have noticed, The Life Edit has become something of a beauty blog as of late, something which I'm not 100% happy about. Although I do love a good lipstick from time to time, I'm wanting to get out of my current rut of only posting beauty related topics. The Life Edit was called The Life Edit as I wanted to provide readers with a bit of everything - kinda like a magazine. So although I will of course continue to ramble on about everything make up, be sure to stay tuned for more fashion/life/food procrastinations. A brand-spankinly new layout is soon to come, too, something which I'm sure you're gonna have many sleepless nights over due to excitement... (sarcasm). But for now, here's a fashion themed post for you feast your eyes on. Enjoy. 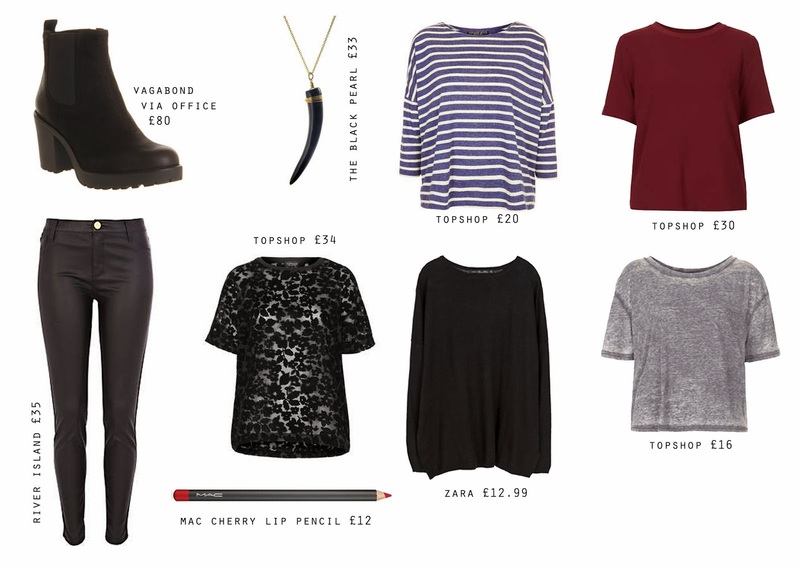 I'm a sucker for Topshop - love the items you've listed! beautiful! would you like to follow eachother?